I was introduced to trail running in 2009 with my first ever trail run - a 20 mile loop of Chicot State Park trail. It was the toughest 4 hour effort I had ever experienced, and I was immediately hooked (and very sore). I loved the peace and simplicity of the trail. I loved the self supported nature of trail running. What you needed, you brought. Period. There was no whining tolerated because it would do you no good. No one could run back and get a car to pick me up. I was in the middle of the woods, and the only way out was by my own power. That is what ignited my passion for trails and ultra racing. I feel like my day to day life is too full. It is full of to do's, tasks that have to be done just to keep up a "civilized" life style. It is full of noise. Right now the radio in the living room is on low (just had to turn it down - it was too much), and I can hear the washing machine doing its thing. If I listen closely, I can hear the hum of the refrigerator and the motor of the ceiling fan. Necessary noise for a civilized life style. My life is also full of expectations. Others' expectations. My kids expect me to cook, do laundry, and be the rock of our little family. Fulfilling their expectations brings me joy. This is an acceptable expectation. Then there are the obligation/expectations. My bosses expect certain things from me, and as a person raised to earn my keep, I have higher expectations of myself in this capacity than they do, so it works. It is still an obligation, though, and one that is necessary to escape regularly. The list goes on and on. Our lives are filled with noise and expectations to the point that we sacrifice our peace (paix) for it. We work hard and try to save money so "one day" we can get away and find some peace. Our days blend into each other and become a blur because we are too busy doing things to Just BE. I'm making a choice to remove myself from the hamster wheel. I am spending more time unplugged from electronic media, and plugged into life. I want to focus on the sights, smells and sounds around me rather than plowing through things just to make it through another day and hopefully making it one day closer to when I can get some peace. I want peace in my life every day. 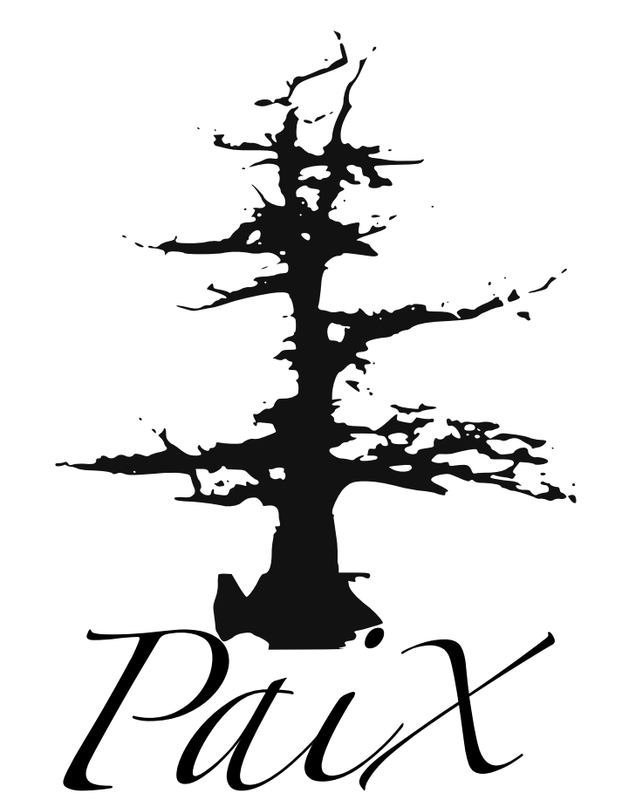 This is the concept behind Paix Running. My slogan is "Unplug and Just BE", and it is just that simple. I want to offer people opportunities to disconnect from the grind and reconnect to their true selves. I want people to get reacquainted with quiet. I want to take the focus off of the "bling" and put it back where it belongs - on the accomplishment. If you are looking for room service and someone catering to your every specific request, this might not be the place for you. If you are looking for self reliance and pride in the fact that YOU did that thing, whatever it is, all on your own, then you may have found a home. And hopefully a bunch of like minded folks. Life is always an interesting journey, and I am looking forward to sharing the journey with you! One thing you can be sure of, any events that I host will be true to the ultra running ideals of respect for nature and our fellow runners. This isn't road running folks, and your mom isn't running with you. Litter will not be tolerated (anyone caught will be immediately disqualified), and we will do our best to accommodate everyone with our support and aid stations, but really, if you have a very specific need - accept that it is your responsibility to take care of that. When you finish one of our races, you will have no doubt that YOU did that, and no one else can take credit for your achievement. It's supposed to be tough. That is why we do it.